Address: ZTBL Head Office 1 Faisal Avenue. Islamabad, Pakistan. 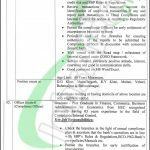 Applications are being offered from www.ztbl.com.pk Jobs 2018 For OG-II Compliance Officer Online Apply. A well-known bank named Zarai Taraqiati Bank Limited Islamabad has announced the recent advertisement in Daily Jang Newspaper is seeking to hire the well disciplined, caliber and adroit applicants are required to apply for the vacant posts which are named as (Assistant Vice President (Head Compliance Unit) (07 Posts) and Officer Grade-II (OG-II) (Compliance Officer)) are the posts which requires to be filled by the applicants as soon as possible, For the above posts applicants should be having the Graduate/Post Graduate equivalent degree in Finance, Business Administration, Commerce, Economics from the well-recognized institute with 03 to 08 years expertise is required. Attractive salary and market-based salary package will be given to the applicants. Applicants should possess the CGPA of 2.5 or 60% marks are required to apply. So, come forward and apply as soon as possible. Now, I will let you know about its further details below. ZTBL Bank is abbreviated as Zarai Taraqiati Bank Limited is the agriculture development bank which is involved in many functions such as serve the needs of the farming community, by delivering financial products and technical services on a competitive and sustainable basis, in a convenient , efficient and professional manner. So, being a Govt bank it offers Govt jobs of different level. 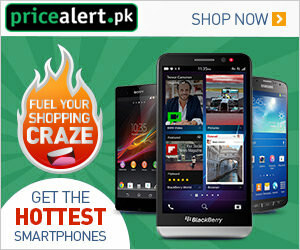 Candidates who meet the said criteria are required to apply online through this website at www.ztbl.com.pk or you can also apply through web link given at this page. The last Date for submission is October 19, 2018. No TA/DA will be admissible for interviews. So, for more jobs stay in touch with this page always.